We spent some time thinking how to describe our new S-Works 6 XC mountain bike shoes, and really, their selling point is pretty easy—they're the lightest, most connected XC race shoes in the world. They're not just light, although they are only 270 grams-per-shoe, but it's more about the blend of low weight and incredible performance. 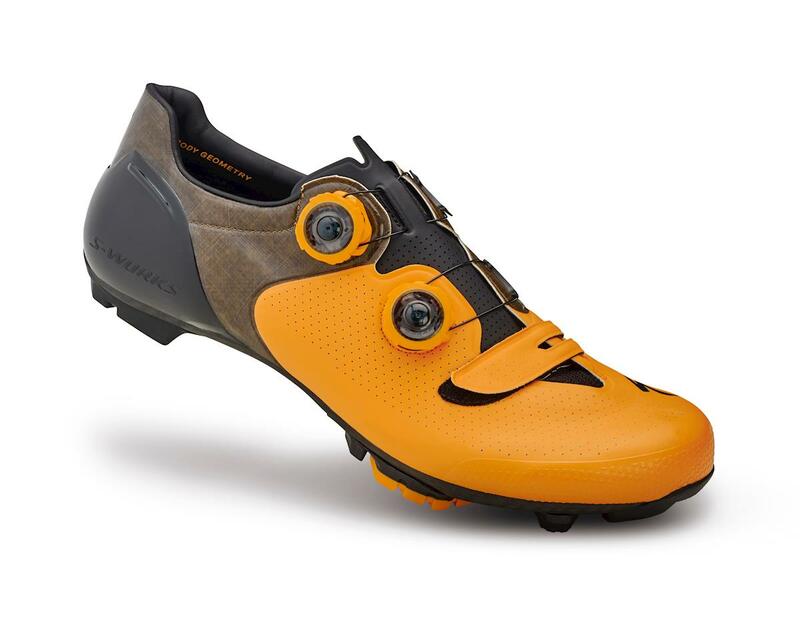 They feature our stiffest and lightest carbon fiber outsole for pedaling efficiency and feedback, while they borrow some unparalleled traits from the road version of the S-Works 6, for explosive speed and superior comfort. The speed comes as a direct result of an incredible fit and a better connection, delivering more efficiency and power to the pedal. The new PadLock™ heel, combined with revolutionarily strong and lightweight materials in the upper, creates a snug fit that's incredibly secure. The Result? You have a shoe that helps transfer more of your energy into the pedals when you crank up the watts. Add to that the legendary performance and adjustability of the dual-Boa® closure system and the S-Works 6 becomes more than just a shoe, it allows you and your bike to work seamlessly together with maximum efficiency.